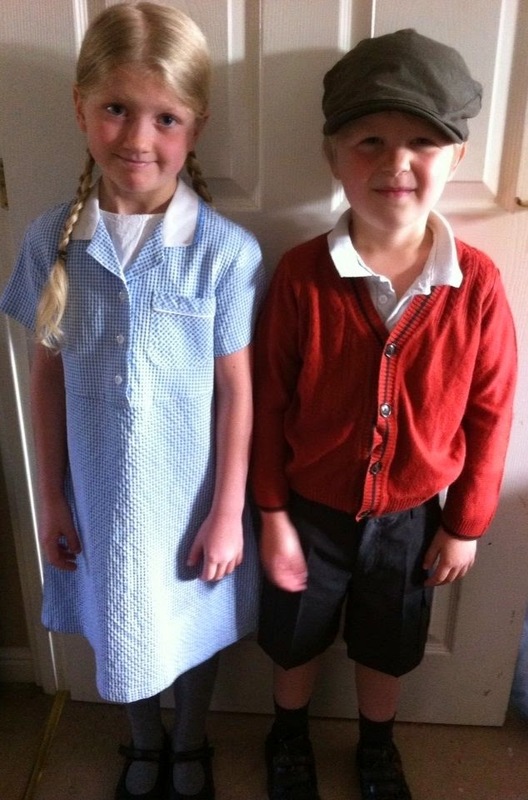 The Sweetpeas went off to school today dressed as evacuees. Harvey was definitely born in the wrong era. 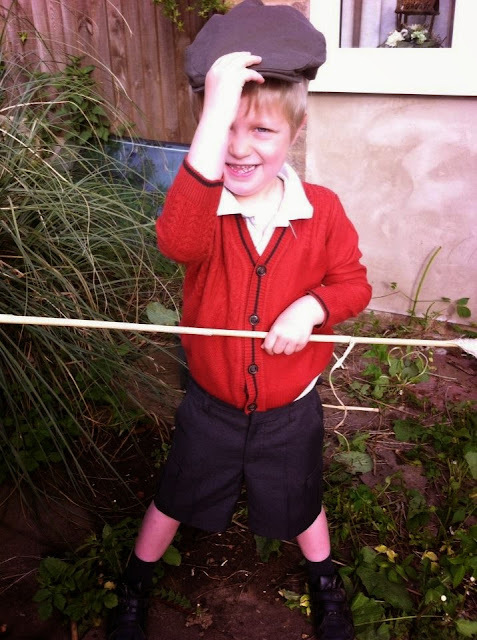 He really suits shorts and a flat cap. "I need a shield." ~ Harvey completely misunderstood what they were going to be dressed as he thought it was "Viking day".